I personally had my first heart center activation in 2012 and it was triggered by a catalyst. I like most people believed this person to be “The One” because of my limited perception about love and relationships. I created delusion thought processes about the person until it happened a second time more intensely with another person. I now know this person to be a catalyst for my spiritual evolution (thank you). Since then I became aware that ONE of the purposes of the heart centers is to resonate with others at the same frequency as you so that you may co-create together. It has nothing to do with what we call or perceive as love here on this planet. 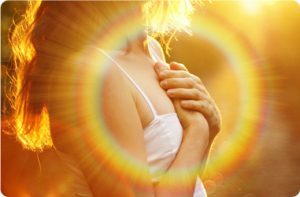 Now because I have evolved past my limited perceptions and beliefs of the beautiful gift of a open and active heart center, I have heart connections with several people in a week. Since the day of my first activation I have evolved emotionally, mentally, and spiritually at a rapid rate. Many people in my life have expressed I don’t act or look the same. 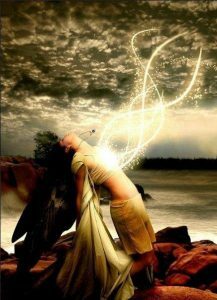 It catapulted me into my spiritual awaking and ignited my kundalini awakening/rising. It is a gift that teaches you how to connect to yourself and learn true love. Self love. I was going to write an entire article about this but I have a friend (Mel Brand) that is an expert when it comes to heart center awakenings and he has put out several videos about this beautiful experience so I am going to share his videos. If you are going though a heart center awakening I highly recommend you watch these easy and detailed videos as he explains in great detail the symptoms, the reasons, and the belief systems that surround a heart center awakening and heart catalyst (the person or people that triggers your heart to open). These videos can save you from a lot of unnecessary pain and suffering so I highly recommend them.